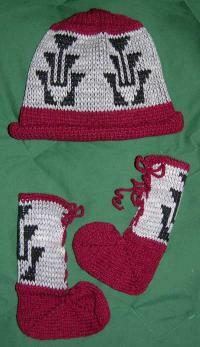 Special order the colors for this Headband featuring the Deer Rib Motif. 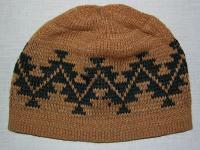 The deer rib headband was designed and handloomed by Sharon Nani, non native and owner of The Knit Tree. It was inspired from an Indian basket that was in her family for generations. She was told the basket was a Mountain Maidu. 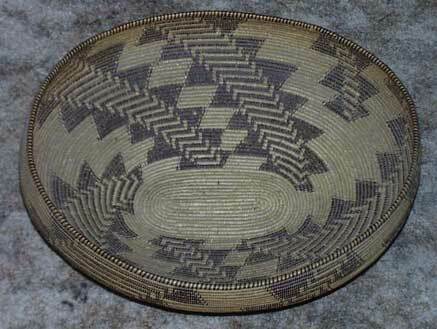 The Deer Rib Design is recognized by many tribes in Northern California and the Lassen tribes of Pit River, Atsugewi, Yana, Yahi, and mountain Maidu. The book Indians of Lassen by Paul I. Schulz and published by Loomis Museum Association, Lassen Volcanic National Park is a great historical resource and shows many designs of the Lassen Tribes. 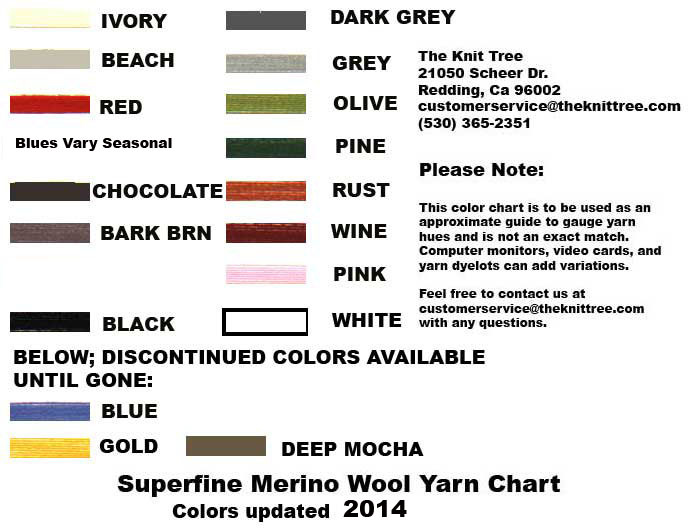 Choose your two or three colors from the yarn chart, follow directions below for selecting colors. Pictured is a two color version. Then type your color choices in the text boxes below. Brown is Color One in the Sample. It is the background color and the color on the inside of the headband. NONE is Color Two in the Sample. It would be the band color.